It has been noticed that many aspirants from among the “perfect men” (kummalin) fail in the battle against the carnal soul and do not reach the station of perfection even after years of ascetic practices (riyadat) and spiritual combat. The reason for their failure is that the roots of certain traits survive in their hearts, while they imagine that they have completely wiped them out. Consequently, when they face God’s trial and are confronted with temptations of the carnal soul and its effects, those roots suddenly bloom and grow, and finally defeat the wayfarer. Success in overcoming the carnal soul and its forces is contingent upon Divine solicitude and special Grace of the Lord of lords (Rabb alarbab); for it is not possible to traverse this stage without His special grace and assistance. It has been reported that one day some pupils found the late Sayyid Bahr al-Ulum, may God be pleased with him, smiling and in a joyous mood. 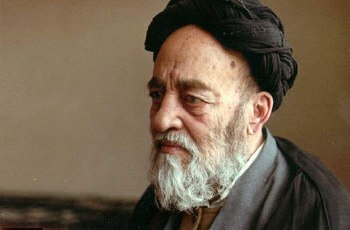 When they asked him about the reason for his happiness, he replied: “After twenty-five years of spiritual combat, now when I look into my soul I realize that my deeds are no longer ostentatious (riya), and that I have at last succeeded in purifying my deeds.” One must reflect deeply on this statement. It should be reiterated that from the beginning of wayfaring and spiritual journeying up to its final stage, the traveler must observe all precepts of the glorious Shariah, and must not violate an iota of the exoteric aspects of Divine Law. Hence, should you come across a person who claims to be a spiritual traveler but who does not observe all rituals and duties set by the Shariah, or is not committed to piety and abstention from sin, or deviates even slightly from the straight path of the true Shariah; be aware that such a person is a hypocrite (munafiq), unless it is proved that he commits unintended errors or is forgetful.